I was looking through the list I have read during the year and what I would like to read in the near future. 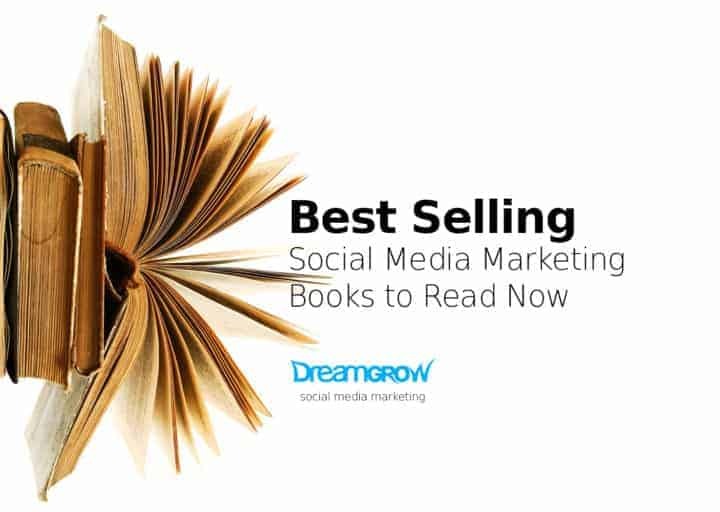 In the process, I created this list of really great books about social media and marketing. The list includes such classics as The Cluetrain Manifesto and newer books (Guy Kawasaki’s Enchantment). I added the Amazon rating to the books but don’t worry about Cluetrain’s 3.8 rating it’s an important book. You will also find the links to my interviews with Seth Godin and Brian Solis. Though it may not yet have affected the value of 30 seconds of Super Bowl advertising, PR insider Scott argues that understanding the growing irrelevance of marketing’s “old rules” is vital to thriving in the new media jungle. By becoming part of the conversation, you can start connecting directly to your customers, as well as finding new ones, easily and inexpensively spreading the word about your products or services. Let Shama Hyder Kabani teach you the “zen” of social media marketing: how to access all the benefits of social media marketing without the stress! 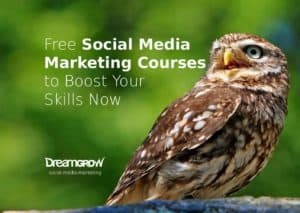 The Zen of Social Media Marketing outlines the most popular social media tools, from Facebook to Twitter to LinkedIn, and teaches you how to use them, step by step. Get proven strategies for success from the businesses she works with every day, along with shortcuts and tips to help you make the most of your time and energy. This book is also the last social media guide you’ll ever need: with the physical book you also get access to the exclusive online edition, which includes regular updates and video extras to make sure you’re always on top of the latest in social media. Published 10 years ago this book is a foundation of the change in business around us. A powerful global conversation has begun. Through the Internet, people are discovering and inventing new ways to share relevant knowledge with blinding speed. As a direct result, markets are getting smarter—and getting smarter faster than most companies. These markets are conversations. Their members communicatea in language that is natural, open, honest, direct, funny and often shocking. Whether explaining or complaining, joking or serious, the human voice is unmistakably genuine. It can’t be faked. [UPDATE: Doc Searls pointed out that the new 10th Anniversary Edition is a better deal, so here it is]. Stop pushing your message out and start pulling your customers in. People are now increasingly turning to Google, social media, and blogs to find products and services. Inbound Marketing helps you take advantage of this change by showing you how to get found by customers online. This book explains how to influence what people will do while maintaining the highest standards of ethics. The book explains when and why enchantment is necessary and then the pillars of enchantment: likability, trustworthiness, and a great cause. The next topics are launching, overcoming resistance, making enchantment endure, and using technology. There are even special chapters dedicated to enchanting your employees and your boss. Finally, because there are times you may want to resist enchantment, there’s even a chapter about how to do this too. The Internet offers an unprecedented opportunity for creating trusted relationships with your prospects and customers—before you ever “meet” them. Never before have marketers enjoyed such a wide-reaching and varied communication platform. Yet with all the noise, you have to stand above the crowd. The key is to converse about meaningful and relevant topics with your diverse audiences, to share your perspectives on what matters to them. Written by an expert in social media and viral marketing, this book cuts through the hype and jargon to give you intelligent advice and strategies for positioning your business on the social web, with case studies that show how other companies have used this approach. Explore blogging and microblogging, and find out how to use applications such as Twitter to create brand awareness. Learn the art of conversation marketing, and how social media thrives on honesty and transparency. Manage and enhance your online reputation through the social web. Tap into the increasingly influential video and podcasting market. Discover which tactics work — and which don’t — by learning about what other marketers have tried. Two of Forrester Research’s top analysts show you how to turn the force of customers connecting to your own advantage. Josh Bernoff and Charlene Li show how leading companies are gaining insights, generating revenues, saving money, and energizing their own customers. How do trends emerge and opinions form? The answer used to be something vague about word of mouth, but now it’s a highly measurable science, and nobody understands it better than Clay Shirky. In this delightfully readable book, practically every page has an insight that will change the way you think about the new era of social media. Highly recommended.” – Chris Anderson, editor-in-chief of Wired Magazine and author of The Long Tail. This book is your guide to a new form of power broker–web natives who trade in trust, reputation, and relationships using tools you may never even have heard of. You will learn what you need to look for in such an agent for your business or how to become one yourself. Trust Agents is your guide to the deep end of meaningful relationships on the web. Book’s goal is to help you build influence, improve reputation, and earn trust. Here’s something you may not know about today’s Internet. Simply by designing your product the right way, you can build a flourishing business from scratch. No advertising or marketing budget, no need for a sales force, and venture capitalists will flock to throw money at you. Many of the most successful Web 2.0 companies, including MySpace, YouTube, eBay, and rising stars like Twitter and Flickr, are prime examples of what journalist Adam L. Penenberg calls a “viral loop”–to use it, you have to spread it. After all, what’s the sense of being on Facebook if none of your friends are? The result: Never before has there been the potential to create wealth this fast, on this scale, and starting with so little. The book will show you how to build or transform your business into a social media—enabled enterprise where customers, employees, and prospects connect, collaborate, and champion your products, your services, and your way of doing business. How to implement social technology in business, spur collaborative innovation and drive winning programs to improve products, services, and long-term profits and growth. Details how to develop, implement, monitor and measure successful social media activities, and how to successfully act on feedback from the social web. Discusses conversation-monitoring tools and platforms to accelerate the business innovation cycle along with the metrics required to prove the success of social technology adoption. Connects the social dots more deeply across the entire organization, moving beyond marketing and into product development, customer service and customer-driven innovation, and the benefits of encouraging employee collaboration. Read my interview with Brian Solis: The End of Business as Usual. Tribes will make you think (really think) about the opportunities for leading your fellow employees, customers, investors, believers, hobbyists, readers. . . . It’s not easy, but it’s easier than you probably imagine. Read my interview with Seth Godin: Build a Tribe to Win. This book guides you through the maze of communities, platforms, and social media tools so you can decide which ones to use, and how to use them most effectively. Put the buzz about your business to work for you. This comprehensive, perfectly paced guide will teach you how to make social media an active part of your marketing plan so that you can turn customer conversations about your brand, product, service, and company into a sustainable competitive advantage. A handbook for marketers and business owners to use in deciding how to employ the new social media for online marketing. 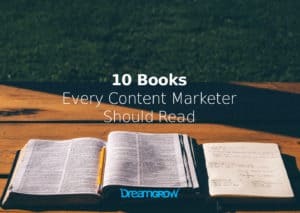 Check out the related posts Top 10 Social Media Marketing Kindle eBooks and 10 Remarkable Content Marketing Books You Need to Read. Surely these books would be a big help in Social Media Marketing! I love to buy ones of this. Great list. Helpful indeed. Hi Priit, I would recommend Putting Public Back in Public Relations for anyone in marketing or PR, its full of insightful and cases studies, and argues well the need for PR to adapt to social media. I would also add to the list ‘Cluetrain Manifesto’, although written some years back, its still relevant. Its my next read :-). Thanks Varsha, Putting the Public Back in Public Relations seems really interesting. Socialnomics is in the list. Socialnomics by Erik Qualman is always a good start into social media. Thanks Priit! I look forward to hearing what you think. Thanks for your comment Erik. Just ordered your book last week. On my to read is Dave Evans book! Interesting… the books you mentioned seem good. I would like to read “Social Media Marketing: An Hour a Day”. Thanks for this useful post.